I've mentioned Latteria Studio and Carla Tomasi on this blog before -- here and here as well -- but it's about time they got a post all to themselves, especially given that Carla is the best cook I know, and Latteria Studio has decidedly become what one could define my ''happy place,'' or rather a place where I feel relaxed, at ease, and perfectly content. 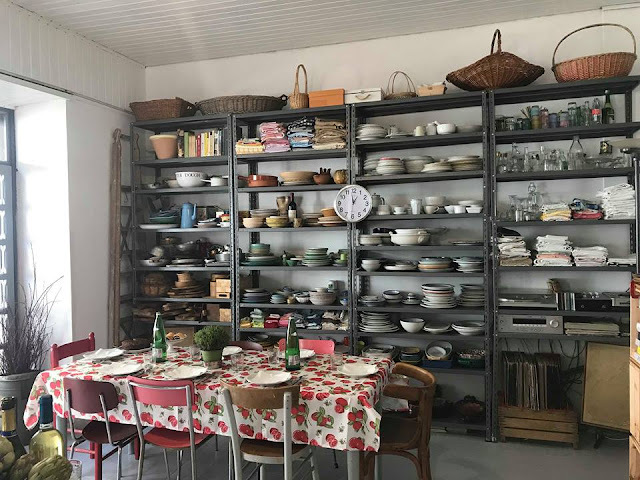 If you're not familiar, Latteria Studio -- opened in 2015 by Alice Adams, and located in the Trastevere neighborhood -- is a space that serves many purposes (photography studio! kitchen space for rent! event venue!) 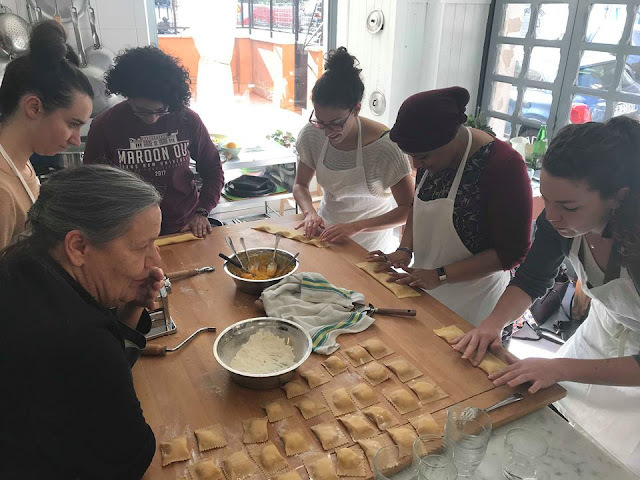 but best of all, is also home to cooking classes of all kinds (!!!) 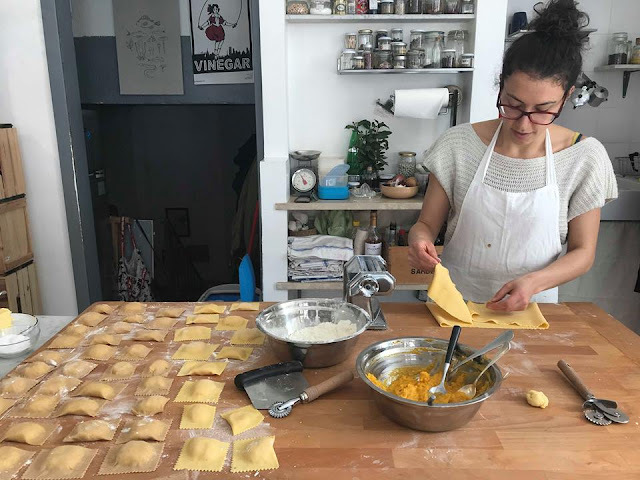 There are monthly Market to Table classes, where participants shop at the Mercato Testaccio, then head to Latteria to cook with their ingredients; there are Skills classes, which focus on a specific theme, like bread or preserves or desserts; there are classes with visiting cooks, who teach you to make unfamiliar things like dumplings and spring rolls; there are classes that can be tailored to the participants interests, with a more personalized menu. 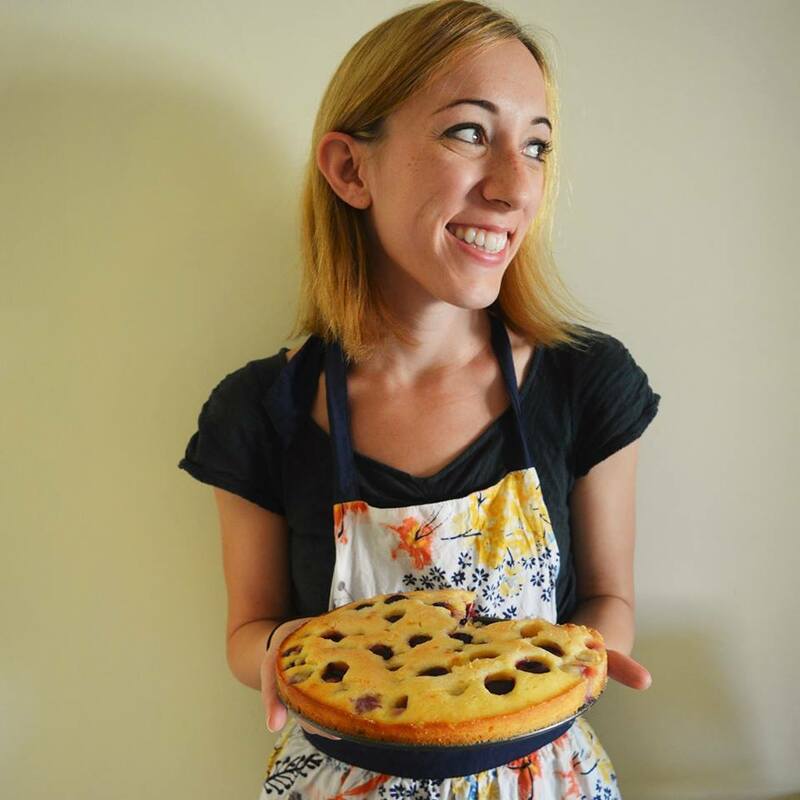 Carla Tomasi -- a self-described "cookery teacher/pickler/jammer/baker/preserver/busy body" is also a walking encyclopedia (seriously: ask her any question you have about food, and she will have the detailed answer) not to mention a superb cook, an equally superb instructor, and one of my very favorite people. 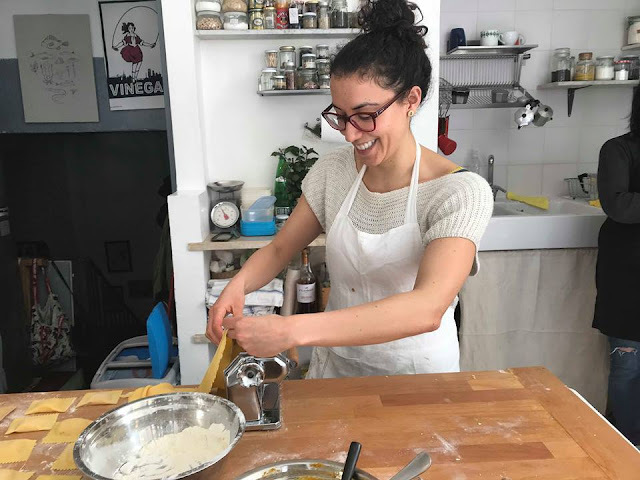 Carla left Rome when she was only 18 to live in London, where she had many jobs in the food industry (including her own restaurant in Soho) before eventually returning to Rome some 20 years later to teach, bestowing her wealth of knowledge (culinary and otherwise -- she's one wise lady) upon her fortunate students. 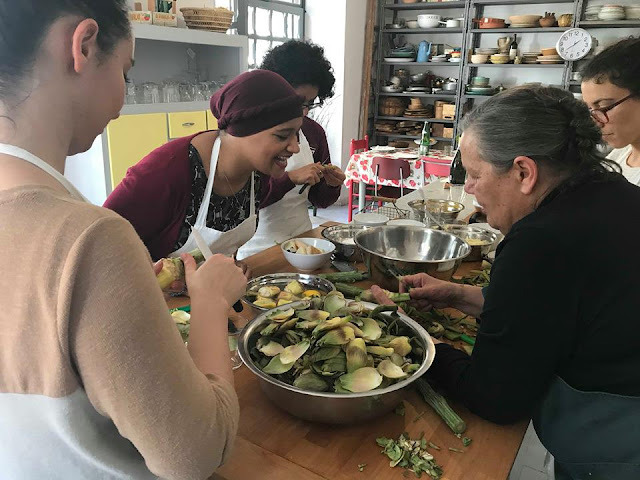 This wealth of knowledge plus an excellent approach to food -- cooking seasonally, with a heavy emphasis on vegetables, and the curiosity to explore cuisines beyond just Roman -- translates in to stellar cooking classes. So! Simply put, a class with Carla is, well, special, from start to finish. 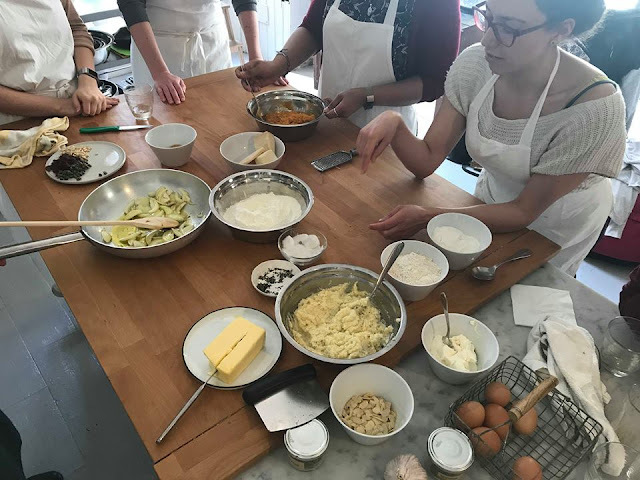 Freshly brewed coffee and freshly baked cinnamon rolls greet you upon arrival; the atmosphere in the Studio manages to be both relaxed and lively and fun all at the same time; there's a sense of team work and good will as you work with your fellow participants, united in the same goal: a good meal. 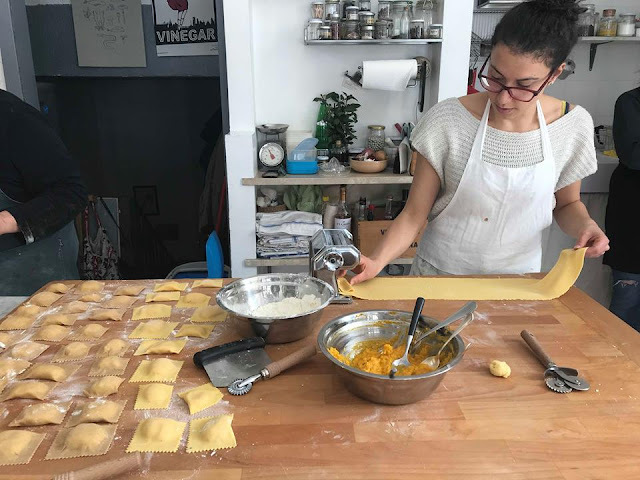 No matter what sort of class you've done, it ends with an overall sense of accomplishment and, well, betterment, because you've really learned something -- whether it be how to make a really good piadina, the correct rice to use for seafood risotto, the easiest way to peel usually tricky squash -- and you leave the studio happy, satisfied, and convinced that there is no better way to spend a morning. Classes at Latteria are a cut above all others I have taken here in Rome, and a class there -- whether you live in Rome like me or if you are here on vacation -- is worth your while, a hundred times over. 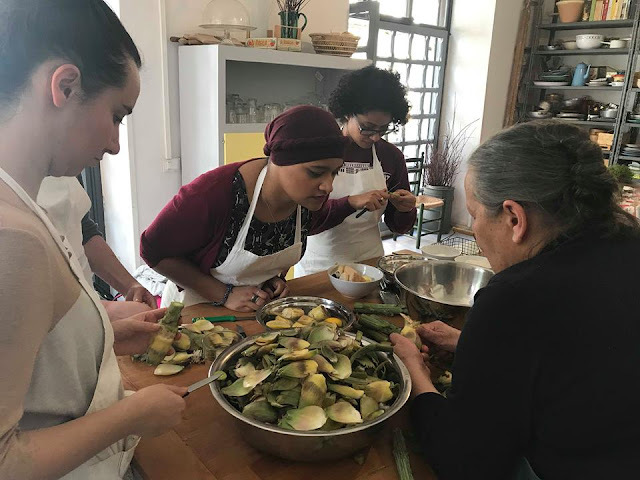 With no further ado, here are some photos and a little bit about our class with Carla last Saturday! 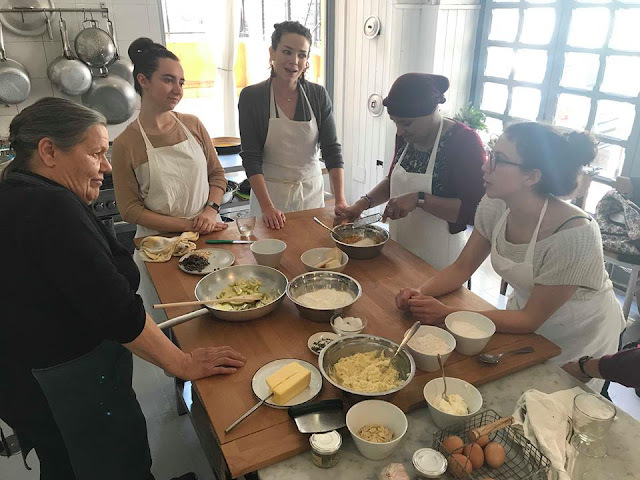 We dove right in to our lesson with focaccia, where Carla advised on on the best kind of flour to use (half strong bread flour, half soft wheat flour, and nothing too cheap!) 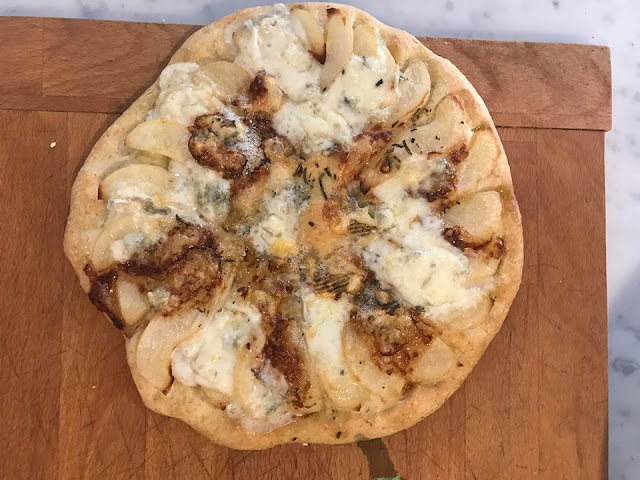 the correct ratio of flour to water (for every 100 grams of flour you should add about 65 grams of water) and what to top them with (fresh herbs always go on after the focaccia is out of the oven, so not to turn them bitter in the oven) among many other things. 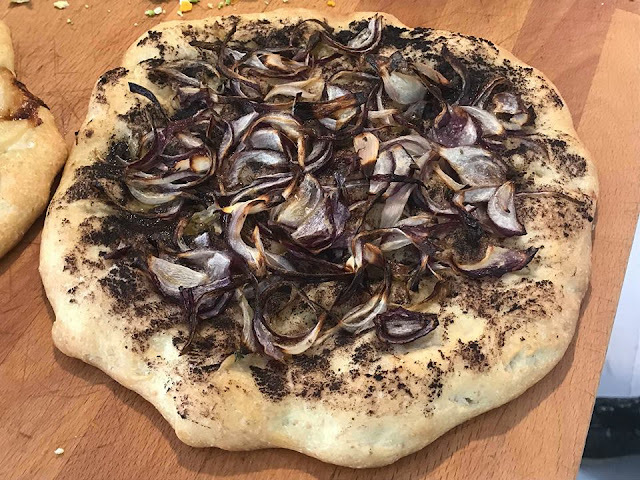 We went on to make pear and gorgonzola focaccia (extra gorgonzola, because the more cheese the better) a red onion and olive tapenade focaccia, and a simple rosemary focaccia, which disappeared faster than I could photograph it. 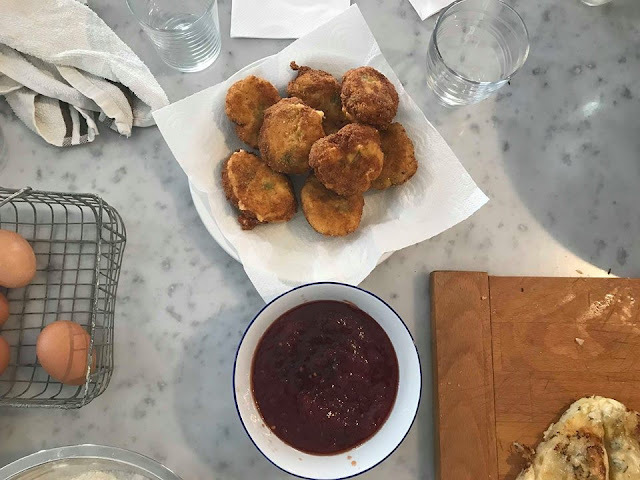 All three were fluffy and golden brown and downright heavenly -- in that way that only bread fresh from the oven can be -- and as if that weren't enough we also made savory fritters with both mozzarella and parmesan (did I mention we like cheese?!) served with a spicy sweet tomato chili jam. All of our snacks paired perfectly with a cold glass of Prosecco, and needless to say, we were off to a very good start. 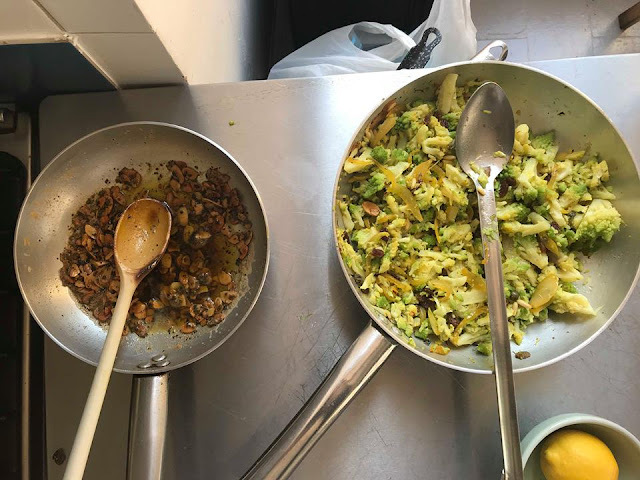 Having had our fill of carbs, we turned to something a little fresher and greener, or rather, artichokes done the Roman way -- braised and steamed with parsley and garlic -- and broccolo romanesco, a vegetable that is sort of a cross between broccoli and cauliflower, light green and almost flower-like in appearance, cooked with capers, saffron, onions, and pine nuts. 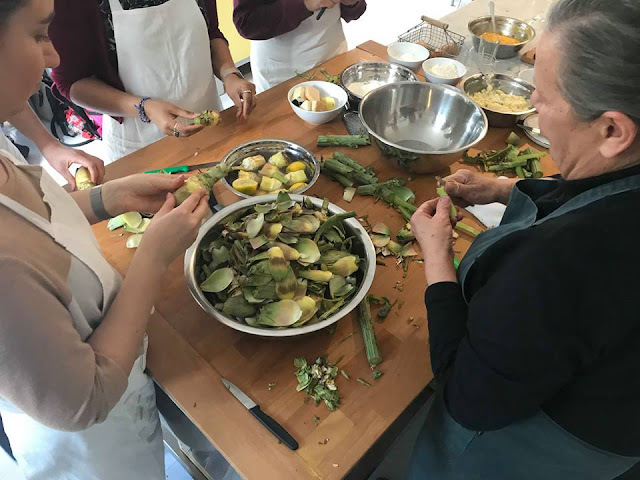 Carla patiently walked us through the artichoke prep process -- explaining that we needed to remove quite a bit of the exterior leaves (necessary given the climate and environments artichokes grow in, but not for eating!) plus the spiky ends and tough outer stem. 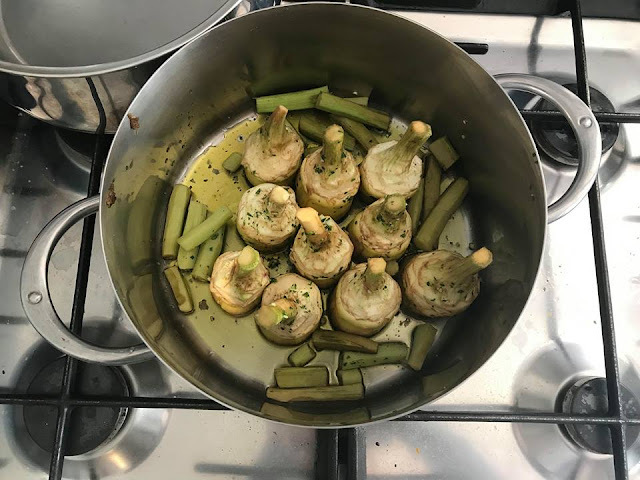 Any extra long stems were cut, peeled, and added to the mix as well ("the best part," Carla declared) and all was left to bubble and steam away merrily on the stove. 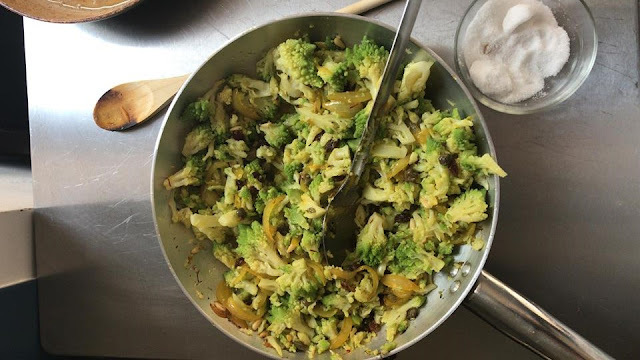 The broccolo prep was a bit more straightforward -- just cut the florets from the stem -- and the mix of ingredients was something new, a little different, super delicious with a hint of saffron, and most certainly not your mother's broccoli. "Eat your vegetables" was never so easy. 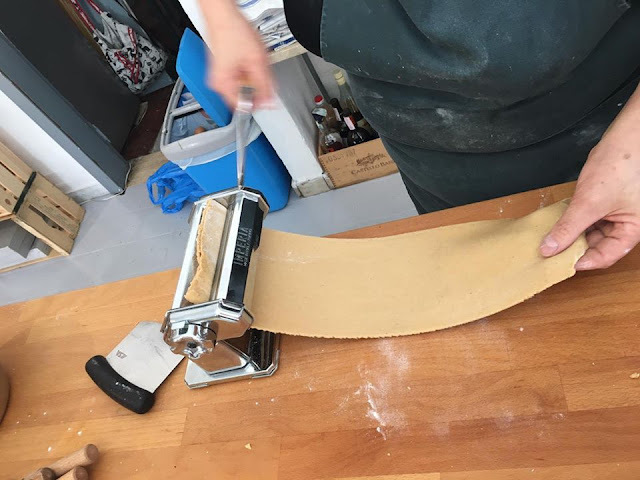 While there was definitely a bit of back and forth and brainstorming when it came to deciding the menu, all six of us were unanimous when it came to the main: fresh pasta was a must. 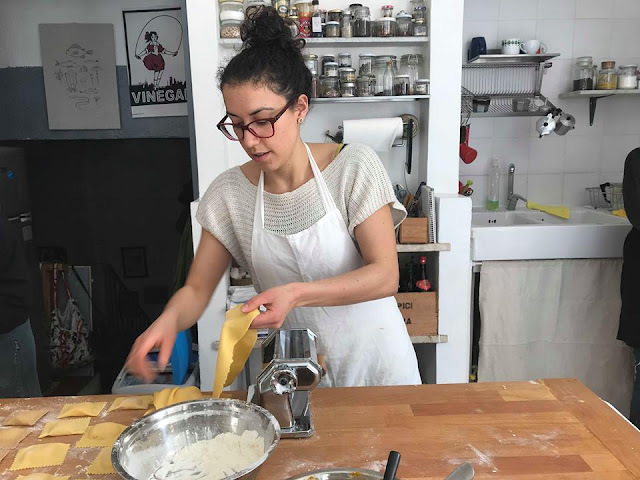 After all, pasta from scratch is quintessentially Italian and universally loved, but still a skill that requires some guidance, not exactly a recipe you're likely to get right on your first try. 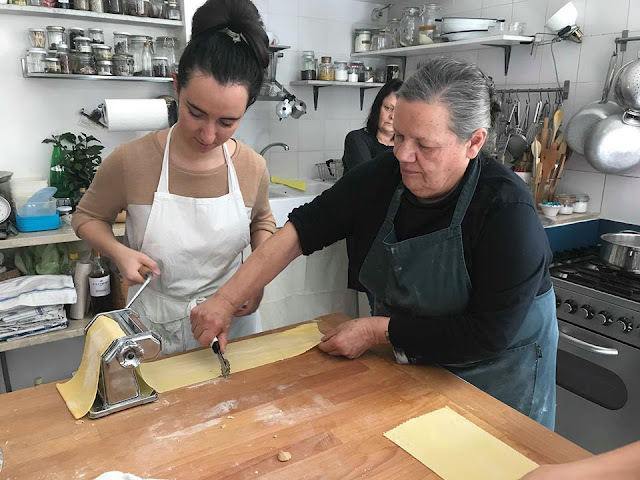 Carla, lucky for us, is a master of fresh pasta (you can actually see her preparing cannelloni here) and guided us through the process, with advice along the way (flour is important, and Farina Mulino Spadoni 00 is the best; fresh eggs are a must; a good, sturdy machine is important, and Atlas and Imperia are the best brands, etc etc). 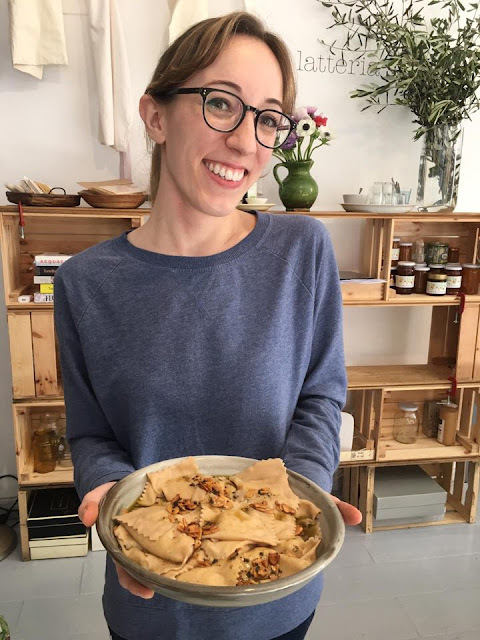 With a little team work and patience we had made fresh egg pasta dough and fresh chestnut flour pasta dough, plus two fillings: potato, parmesan, and taleggio and pumpkin, sage, and philadelphia (a good substitute for the usual ricotta when you have a friend who has a ricotta allergy)! 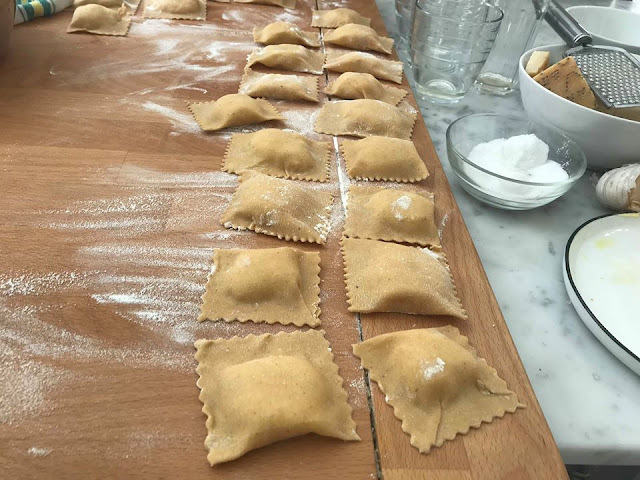 "RAVIOLI COME GLI UOMINI IN PIAZZA"
Once we'd gone through the ravioli making process with Carla, it was our turn to try making them on our own (gulp). 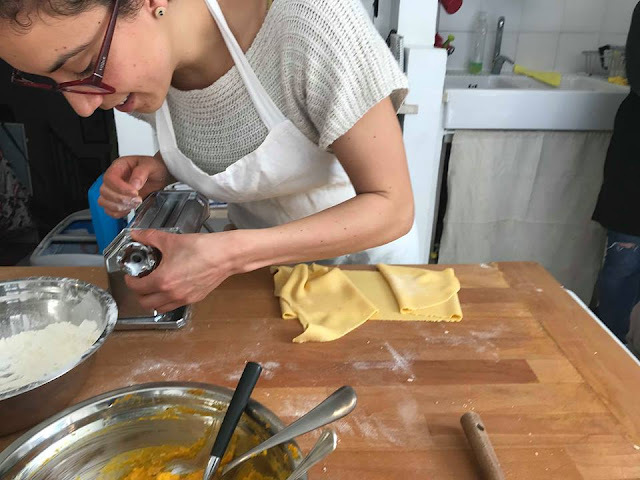 I'm happy to report we did very well for ourselves; here's my friend Sarah preparing the pasta just as Carla demonstrated, rolling out and then folding the dough four times at "0" (to smooth it out and make it thinner!) before rolling it out one number at a time to make it nice and fine (a tricky task, which Sarah managed beautifully!) 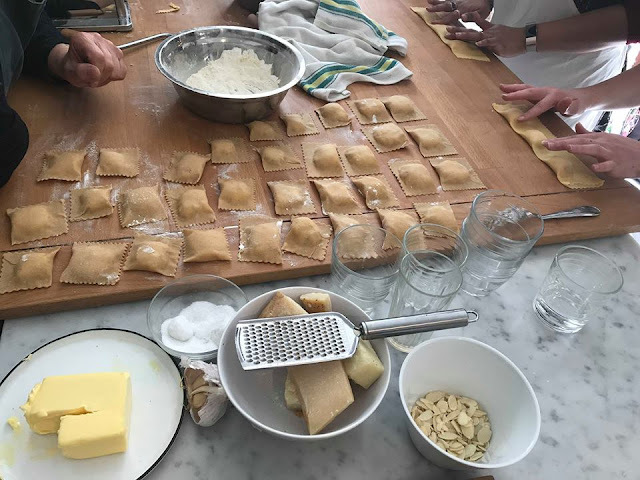 Once our pasta dough was rolled out, we distributed the various fillings (three scoops if you want your filling generous, four if you want a more moderate amount, said Carla) folded over the pasta, patted it down to avoid any air bubbles, and then -- as Carla had shown us -- cut the pasta into squares with ("very decisive!") strokes. 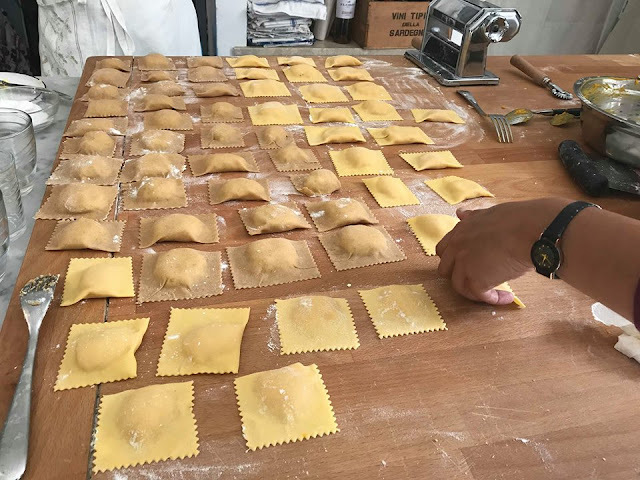 Our finished ravioli were numerous, but less than uniform -- to be expected when said ravioli is made by various people -- which, a friend later told me, made them "ravioli come gli uomini in piazza," or rather ravioli that are all different, like men in a piazza (ha!) 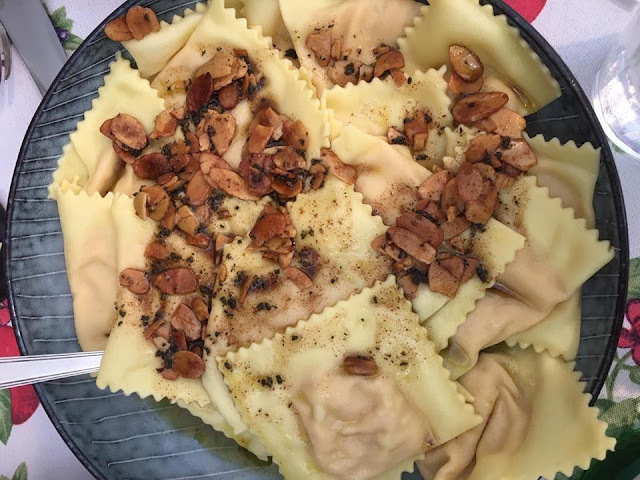 Below our collection of diverse but still handsome homemade ravioli, and the finished product, served with brown butter and flaked almonds, yum. 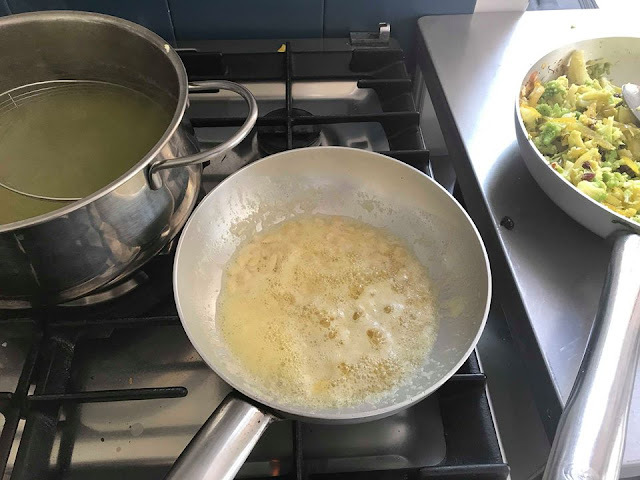 Carla is a very accomplished baker, and while I'd have been more than happy to leave dessert to her, she asked if I would like to teach this part of the lesson (!!!) which was both exciting and nerve wracking. 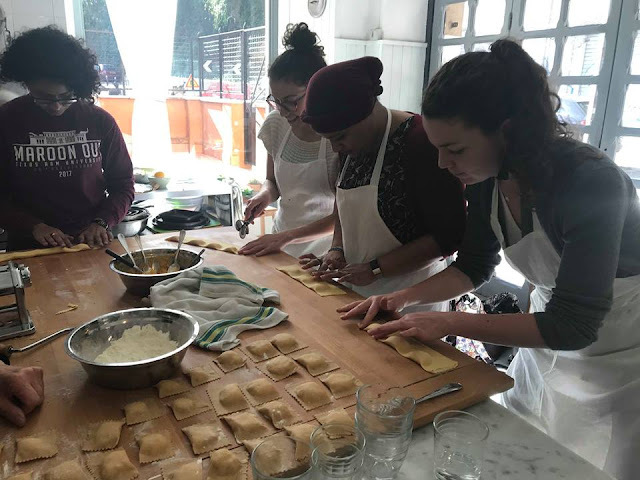 I'd never taught any part of a cooking class, but I do know how to bake, and I think it is important to do things outside of your comfort zone every once in a while. 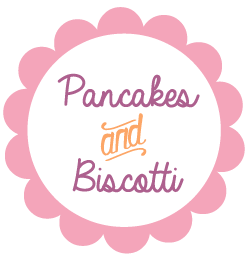 After a little discussion with my friends (castagnole for carnevale? very British sticky toffee pudding? a very lemon-y tart?) 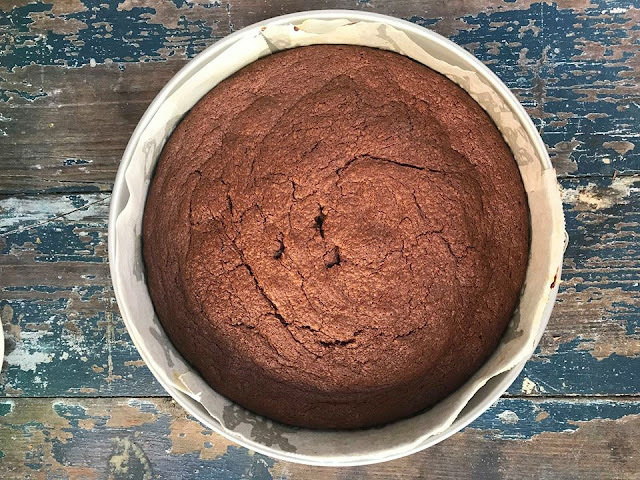 we settled on a very rich and chocolate-y fallen chocolate souffle cake, which has been in my repertoire for a while (recipe and post here). I was surprisingly nervous, once we got started -- my hands even trembled slightly when measuring out the vanilla, no joke -- but all in all my bit on dessert went well, with me managing to explain how to separate an egg, the different phases of a beaten egg white, and the correct temperature of the melted chocolate, nerves and all. The cake was delicious (phew!) 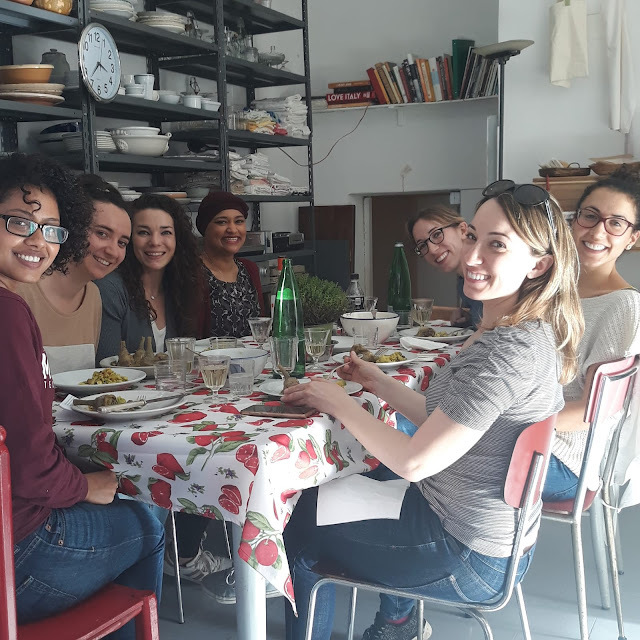 our lesson was a success, lunch was spectacular, and as you can see below, we were quite a happy bunch indeed. A huge thank you to Queen Carla -- we'll be back for another lesson soon!